If you or a loved one suffers from sciatic nerve pain, you are probably aware of the difficulty of sleeping with sciatica. Sciatica patients frequently find themselves awake at night due to sharp pains, tossing and turning, and more. Proper management of the condition is of course vitally important – but equally important is ensuring you have a good, supportive bed. In this guide, we’ll help you find the best mattress for sciatica. 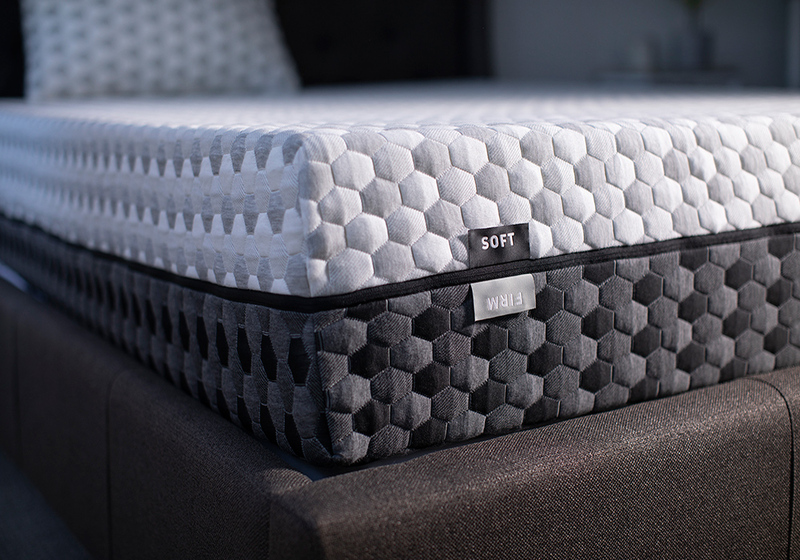 Later in this guide, we discuss in-depth why these mattresses made our list of the top beds for sciatica, and even offer a few more great choices. Want to jump straight to a specific section of this article? Just click on it in the table of contents below. All of the mattresses on our list are of the “bed in a box” variety. That means they’re shipped to your home compressed in a box that you can easily unpack and setup. Shipping is free for all of these brands. The Tomorrow Sleep Mattress isn’t just one of our picks for the best mattress for sciatica, it’s also a very affordable and budget-friendly pick. They bill this as “The Most Comfortable Hybrid Mattress” and we have a hard time disputing it. Tomorrow Sleep is made by Serta (one of the biggest and oldest mattress brands in the world), and the quality really shines through in every aspect of this mattress. Tomorrow Sleep is available in two firmness levels — medium-soft and medium-firm (for sciatica sufferers, we recommend the medium-firm). We chose this as the best bed for sciatica because we believe it offers the best overall balance of comfort, support, and bang for your buck. The Tomorrow Sleep is a hybrid mattress, which means that it has layers of both coils and foam in its composition. Coils are excellent for support, helping with spinal alignment and overall comfort while creating a firm base layer. The memory foam contours to your body to offer pressure relief, reducing aches and pains and improving support in target zones in your lower back and other areas. The combination of these two elements creates a superior sleeping surface for those with sciatica pain. You can try it risk-free for 365 nights — one full year. If it doesn’t live up to your expectations, return it for a full refund (they’ll handle the return shipping process for you). Plus, with coupon code SLEEPZOO100 you can save $100 off a mattress! See all Tomorrow Sleep coupons here. The Layla Mattress is one of our top recommendations across multiple categories, and it is our runner-up for the best mattress for sciatica. It is unique in that it offers both a soft and a medium-firm side, and can be flipped either way. The medium-firm side will be ideal for sciatica pain. Layla is very supportive and does a great job at distributing body heat to avoid sleeping hot (thanks to the copper-infused memory foam). It also presents a fantastic value, given its price range starting at less than $500 when you use our coupon code! Plus, there is a 120-night risk-free trial. That means if you get Layla and decide you don’t like it, you can return it for a full refund at any point within the first 4 months! Check out our full Layla mattress review for more info, and make sure to get the latest Layla coupon codes to save money. The Helix is a good option for sleeping with sciatica because it allows you to get a bed that’s truly customized to your needs. Helix’s website will ask you to fill out a brief survey about your sleep habits, preferences, body type, etc. This info is then used to recommend a custom mattress composition, which later becomes your Helix bed! This customization makes Helix a contender for the best mattress for sciatica. Beyond that, it’s just a great all-around bed, with a perfect blend of support and comfort. You can currently try it out risk-free for 100 nights, or read more about it in this detailed Helix review. 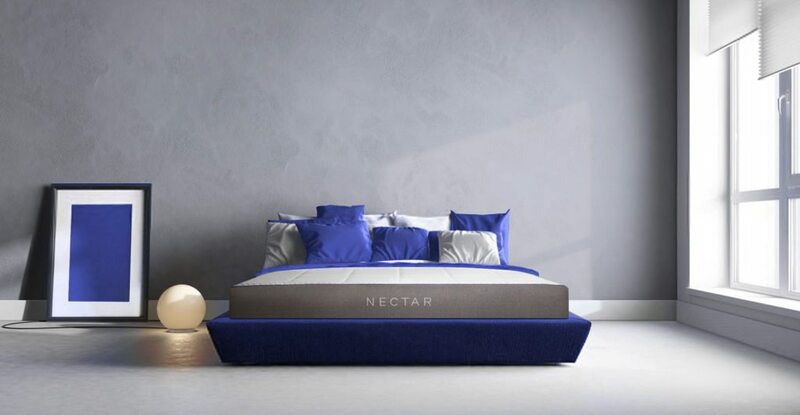 Nectar Sleep makes a great budget-friendly mattress for sleeping with sciatica. It’s affordable yet very well made and durable. It’s on the firmer side, which is typically best for those dealing with back pain and sciatic nerve pain. Nectar comes with an incredible 365-day risk-free trial – so you have a full month to test it out! That gives you a ton of flexibility, and adds to the phenomenal value of this already affordable bed. For more info, read through our Nectar Sleep review – and check for Nectar coupon codes before buying! Right now, you can save $125 with code SLEEPZOO125! 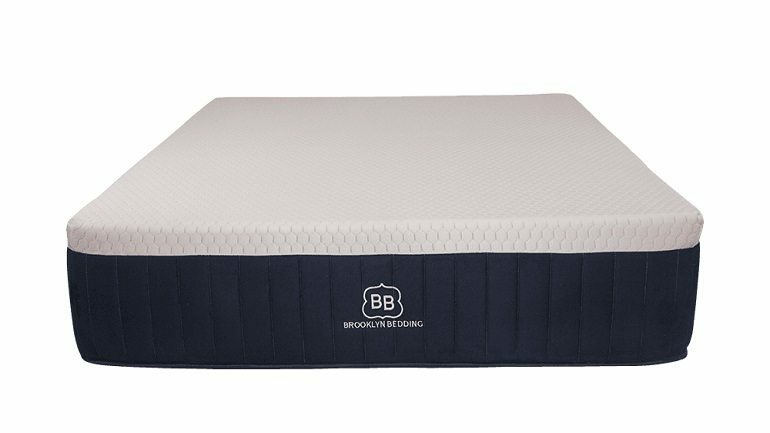 The Brooklyn Bedding Aurora is a luxury mattress at an affordable price. It could be the best mattress for sciatica if you’re willing to spend a bit more. It’s a hybrid bed, meaning it has a blend of memory foam and traditional coils. This makes the bed more supportive, while keeping that signature comfort and softness of memory foam. Hybrid beds also tend to last longer than straight memory foam beds. This bed also does very well in warm climates or with hot sleepers. Proprietary TitanCool foams used in this bed help to keep things cool, regardless of the ambient room temperature. Proprietary TitanFlex foam offers great pressure relief, targeted to where you need it most. Brooklyn Bedding offers 120 nights to evaluate this bed. If you aren’t satisfied, send it back within those 4 months for a full refund. Before you buy, check for Brooklyn Bedding coupon codes to save some money! More details can be found in our Brooklyn Bedding Aurora review. Sciatica is essentially pain that radiates from the sciatic nerve. This pain can move down both legs and it can also affect your lower back. Health professionals will tell you how important a good night’s sleep is, but anyone with sciatica knows how difficult it can be to sit down, much less spend the night sleeping comfortably. And especially since sciatica is fairly common, it’s important that those suffering from the disorder have the resources they need to minimize the pain. “As a very generic, loosely used term, sciatica pain describes pain of the back, rear end and back of the leg,” said Dr. Jeffrey Hoskins, MD of Orthopaedic Institute of Dayton, Inc. There are plenty of good mattresses for back pain, but fewer that we’d recommend specifically for sciatica patients. While a number of factors can come into play when choosing the best bed for sciatica, ultimately you will want to choose something that keeps your spine aligned and that is comfortable enough to allow you to sleep without adding to your back or leg pain. The best mattresses for sciatica are typically memory foam mattresses, or hybrid models that feature both coils and memory foam. In addition to foam mattresses, there are other things to look for when you’re picking out the best mattress for sciatica. You’ll need something that offers optimal support, a medium-firm feel, and the right material. Before we recommend specific models, we’ll look at some of the common mistakes that people make when shopping for the best mattress for sciatica. Too Soft – while a soft, plush mattress might feel comfortable, it will generally not provide adequate support to alleviate sciatic pain. Thus, we typically recommend medium to medium-firm mattresses. Did You Know? A mattress that’s too soft won’t provide the level of support the spine needs, leading to increased sciatic pain and a poor night’s sleep — opt for a medium-firm mattress instead. No Edge Support – edge support refers to the level of support/firmness around the very edges of the mattress. Beds with good edge support will be easier to get in and out of – and since many sciatica patients experience back pain when trying to get into bed, it’s very important to choose a mattress with solid edge support. Low Quality – most beds will feel comfortable at first, but if they’re not made with good materials, they will break down quickly. For sciatica sufferers, it’s particularly important to get a high quality, durable mattress that will last. Good Support – If you sink into the bed and your spine isn’t aligned it’s going to contribute to back pain and sciatic pain. That’s why you need a mattress with good, solid support. You want something that will conform to your body, which will help to take any undue stress off your spine and keep you comfortable all night long. Medium-Firm Mattresses – The best mattress for sciatica is usually going to be medium-firm. You need something that’s not too soft and not too hard. For years, doctors have praised firm mattresses, but surveys of people with back pain show that a medium-firm mattress is a much better option to calm your pain as it gives you enough support for your lower back without being so firm that it lacks comfort. Edge Support – many folks suffering from sciatica have difficulty getting in and out of bed due to their pain. We chose mattresses with good edge support, which typically make it easier to get in and out of bed. Durability – most decent mattresses are comfortable right off the bat, but only a select few are made with durable materials that will stay comfortable for years to come. We stuck with mattresses that have a track record of durability and longevity. Value – while getting a good mattress is a solid investment in your own health, we don’t want our readers to have to pay a fortune! So, we focused on affordable beds that provide excellent value. Certified Sleep Science Coach – our team is led by Chris Brantner, Certified Sleep Science Coach, who helps countless readers better understand the science of sleep and how they can optimize their sleeping environment to get better rest. Experience – our team’s expert opinions have been featured in articles published in NBC News, Huffington Post, Brit + Co, Bustle, Fatherly, and more. Testing – we have physically tested most of the popular mattress models on the market. We took detailed notes on comfort, support, motion transfer, and many other factors. Research – to compliment our own findings from hands-on testing, we conducted tons of online research into different mattress brands. We looked at both expert opinion and consumer reports, although we focused on customer reviews to get authentic feedback from real customers. Interest – the team here at SleepZoo is a bit obsessed with sleep, to be honest with you. In addition to compiling guides like these to recommend specific beds, we also report extensively on the latest sleep news, sleep science, tips, and more. Sciatica sufferers know just how much the pain running from your lower back down to your legs can interfere with getting a good night’s sleep. Fortunately, beyond choosing a better mattress for sciatica, there are other steps you can take to sleep better at night. Use pillows to elevate your knees—If you sleep on your back or on your side, using pillows to elevate your knees can help square your hips and provide some comfort from sciatica pain. If you lie on your back, simply place a couple pillows under your knees, between them and the bed. If you sleep on your side, pull your top knee up toward your head, and support it with a couple pillows between your legs. Do you have any questions about choosing a mattress for sciatica? Comment below and we’ll help.